Community Computer Services is your #1 computer repair shop in Northern Kentucky.We service Alexandria, Cold Spring, Highland Heights, Newport, Southgate and Taylor Mill Kentucky. We have over 25 years experience, and are family owned and operated. Computer repair, used computers, upgrades, web design and more. Call today. Need a reliable, and affordable computer repair company in Taylor Mill KY? 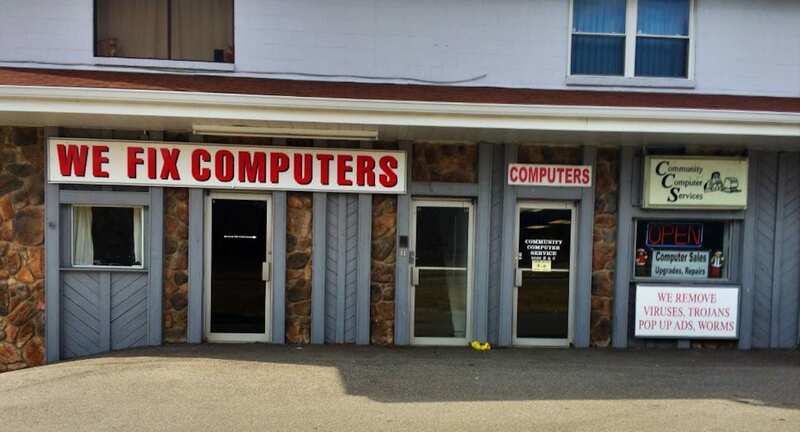 All of our laptop and computer repair service is done locally in-store at Community Computer Services in Northern Kentucky. There is no need you to ship or outsource your computer, we are working with your computers and products conveniently right here in our local stores. We know the importance of computers in a daily life and want to help you get back on track from issues that come up as quickly as possible. We repair your laptop and computers fast, and at the best price.